The Big Boy (left) and RW (right) are two of the four unique models of the Turf Chopper single-rider golf cart. The PGA of BC is pleased to announce a new Affiliate-level partnership with Allen Golf, distributor of Turf Chopper. 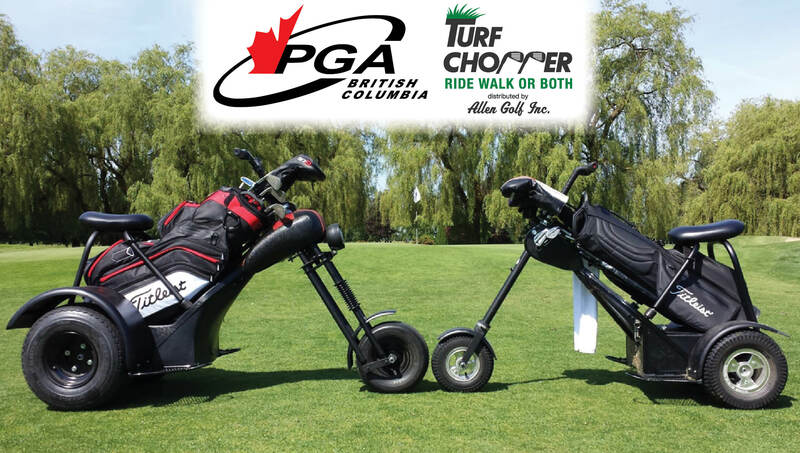 RICHMOND, BC (PGA of British Columbia) – The PGA of BC is proud to announce a new Affiliate partnership with Allen Golf, distributor of the Turf Chopper line of single-rider golf carts, through 2018. PGA of BC members are encouraged to set up a complimentary demo day at their facility for a first-hand look at how Turf Chopper can enhance the playing experience for members and guests while providing multiple advantages for golf courses as well. With four unique models each boasting their own features and benefits, there is a Turf Chopper variety to suit any need. 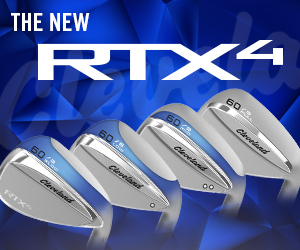 If your golf facility is looking to modernize its rental fleet and capitalize on the emerging single-rider market, the Big Boy and OG models are an excellent fit. The Big Boy and OG come with heavy-duty suspension providing the utmost comfort and durability. Each unit comes with cup holders and a large cooler for lots of storage. For those golfers who like a mix of walking and riding, the RW and RWSF models provide the ultimate versatility and functionality. With their capability to morph from power cart to power caddie in a matter of seconds, golfers can walk, ride, or do both with ease during their round. If you prefer the Big Boy or OG and also enjoy walking, there is a remote control option available for both units. The Turf Chopper’s eye-catching design and fun factor have grabbed the attention of the golf industry, having recently been featured on Golf Channel’s Morning Drive. Weighing in several hundred pounds less than a traditional two-seater, Turf Choppers can significantly reduce cart-related turf damage on golf courses, one of many benefits facilities can realize by adding Turf Choppers to their fleet. Allen Golf is the BC-based distributor of the revolutionary Turf Chopper single-rider golf cart. Turf Choppers are manufactured by hand in Fort Erie, Ont. To learn more about Turf Chopper and the benefits they can provide for both golf facilities and players, please visit www.turfchopper.com. The Professional Golfers' Association of British Columbia is an association comprised of nearly 700 golf professionals who work at and operate golf courses, driving ranges and other facilities across the province. Its mandate is to promote and advance the game of golf, serving the needs of both its membership and the golf public through professional and junior golf development programs and high-calibre competitive events. The Zone Office is located in Richmond, BC. For more information, visit www.pgabc.org.